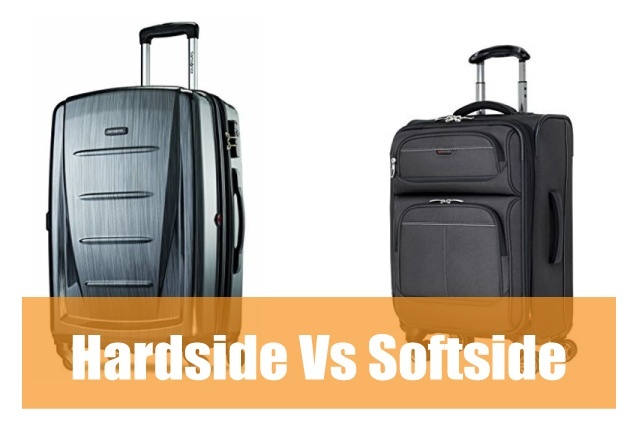 Hardside Vs Softside Luggage – Which Is Best? Are you on the hunt for a new luggage? If so, you’ll need to make many big decisions. While it is possible to invest in a hard case suitcase, you should not ignore soft side alternatives. Which one is really best? The truth of the matter is that there is no real winner in terms of hard or soft luggage. Some people will prefer a hard luggage, while others will want a soft one. It really depends on your individualistic preferences and your unique needs at the time. If you’ve done many travels, you will most likely already have a preference for one over the other. Here’s a quick overview to help you decide and make that luggage purchase a very happy one. When it comes to hard vs soft luggage options, you will find that there are a few key differences that set them apart from one another. They’re both capable of getting the job done and protecting your belongings during the commute. One of the biggest differences is the outer shell. This should come as no surprise. A hard shell luggage is equipped with a tough outer shell. This provides you with additional protection. Nevertheless, a lot of people claim that soft suitcases are the winner in the hard shell luggage vs soft shell luggage debate. Soft suitcases may fit into areas, where hard-shell cases cannot. To help you determine which is best for you, pros and cons of both will be explored in more depth below. 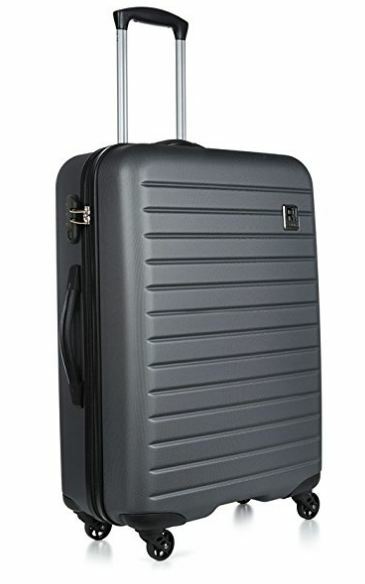 Soft-sided luggage is extremely popular among travelers who like to travel lightly. 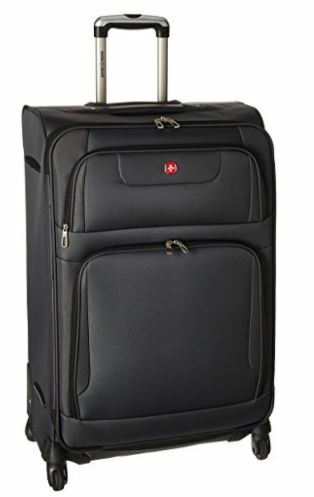 This luggage offers an array of benefits, including convenience, expandability and lightweight. Soft luggage is similar to hard-sided luggage, as far as design goes. Both have a variety of different sized internal and external zippered pockets, as well as straps to hold attire into place. 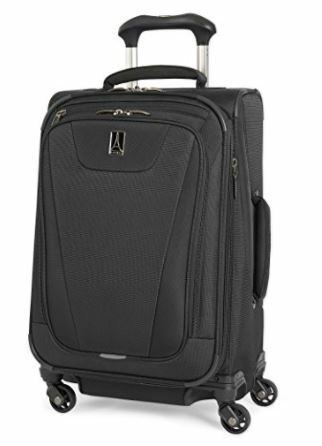 Soft luggage is available with or without wheels, including inline and spinner designs. 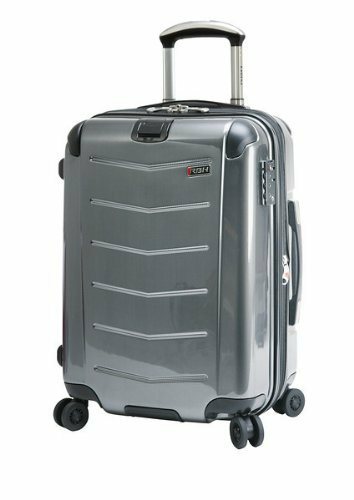 Most rolling upright soft luggage is equipped with two handles, one that extends to different heights and another on the side that fits perfectly in one hand. Whatever the case may be, soft luggage will ensure your travels are less complex and your personal accessories are safe and secure. The material utilized to construct soft-sided luggage is very durable, easy to clean and some will even resist moisture. From leather to 1200D polyester, these materials are extremely easy to clean, plus they offer eye appeal. The 1200D polyester will also resist scratches and scuffs to eliminate the need for frequent buffing. When the material becomes soiled, you can simply spray the surface with stain remover and follow up with a moist cloth. Soft luggage is also known for requiring less space when open than compared to hard shell luggage. It also requires less storage space, so you can slide it into a small cubbyhole or closet after each use. This will also make transporting the luggage from place to place easier, since you can simply stick it in the floorboard or car boots of your vehicle. Furthermore, softside luggage would usually feature both external and internal pockets. It’s easier for you to separate small from large items and find what you need quickly. In most cases, soft luggage will outlast hard-sided luggage, in the event of an accident. However, this really depends on the quality of the luggage,we reviewed best Olympia softside suitcase models, so you can pick one which suits best to you. Unless you are willing to invest a lot of money in an extremely durable hard shell luggage, your best bet will be soft-sided suitcases. Even if the soft luggage falls out of your vehicle during a road trip, it will still be found in one piece, even if another vehicle accidentally hits it. This cannot always be said about hard shell luggage. Soft-sided suitcases are great, but they do have some downsides. This is why a lot of people choose hard-sided luggages in the hardside vs softside luggage debate. The biggest con associated with soft suitcases is that they’re less durable. These luggages tend to age much quicker than the alternatives. At the same time, they are usually not water resistant. A soft-sided luggage simply cannot provide the same level of protection as the hard-sided alternative. 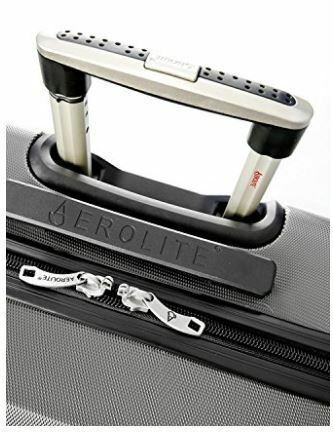 When you choose a hard-sided piece of luggage over a soft-sided piece of luggage there are two guarantees that you are going to have, and those guarantees are durability and protection. If you oftentimes find yourself traveling with fragile or invaluable items, hard-sided luggage is without a doubt your best option. Hard-sided luggage not only comes equipped with hard sides that will protect your valuables, but these cases offer waterproof and stain resistant protection that is unlike anything else available on the market. When choosing from the variety of materials available, your best option is the polycarbonate or polypropylene, as these materials are extremely durable with lightweight properties. It is true that hard-sided luggage has gotten a bad name over the years, but its designs and features have improved with time. When choosing between hard-sided luggage, you will notice that the latest features are now included in many of the designs. Some of these features are telescoping handles, TSA approved handles, and spinner wheels. 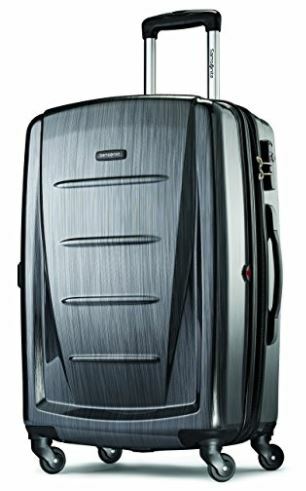 When you combine this with the fact that many hard-sided luggage manufacturers are now offering scratch and dent resistant designs, you truly cannot go wrong with this option. In addition to this, interior designs have also improved. Most hard-sided luggage now includes dividers, pockets, TSA-approved locks and straps, which will keep you and your wardrobe organized during any trip. Unfortunately, the main downside of a hard-sided piece of luggage is the lack of flexibility. It will be extremely hard to stuff extra items into hard-case luggage’s, as they do not expand. In addition to this, there aren’t any external pockets, so if you want to store your passport and identifications for quick access, it will be hard to access them. Conclusion – Soft Or Hard Sided Luggage? At the end of the day, there is a lot to like about the hard case luggage and plenty to love about the soft shell luggage. Sadly, there is no clear-cut winner. Instead, it is vital to understand that each situation is different. Some consumers will want additional protection. If you fit into this category, there is a good chance that you’ll feel more comfortable with a hard luggage. However, you might be interested in saving money. If so, you’ll be better served by a soft-sided luggage. Consider the pros and cons mentioned above. Then, choose the luggage that will suit you the best. Just remember that there is really no reason you cannot have one of each.